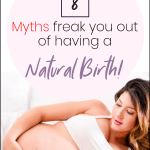 Should you choose a doctor or midwife for your natural birth? When I found out I was pregnant with my daughter, I went and did what most women do- I sought out an OB for my prenatal care. At that point I had heard about Midwives but not enough to feel comfortable with them. I had a fairly easy unmedicated birth and my daughter was born perfectly healthy (thank God). I didn’t think much of my experience at the time because I didn’t have anything to compare my experience to but I did feel like things could have gone better. My OB did her job to the best of her ability but still I do remember feeling like things could have gone differently. 15 months later, I gave birth to my son at the hands of a midwife. That experience really opened my eyes and enable me to see that the method of care between obstetricians and midwives are quite different. 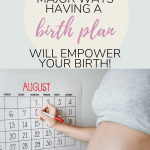 If you are at a crossroads where you need help choosing whether you’ll have an obstetrician or midwife tend to your natural birth, this post is for you. DISCLAIMER: In this post, I’m just sharing my experience along with some knowledge I picked up along the way in. I promise I’m not OB bashing! Doctor or Midwife? Who will you choose to deliver your baby? Obstetrician (OB): It wasn’t always easy to reach my OB over the phone as she had many other patients. I had to go through the nurses before I got to speak directly with her. More often than not, I had to leave a message and wait for a callback. If I felt I needed to be seen right away, I had to go to the Labor & Delivery ward. To be fair though, she was running a family practice and had many patients (pregnant and non-pregnant) to look after. Midwife (MW): I was assigned to 2 midwives and was given their pager numbers. If I had an issue I would call at any time dispatch and they would page either one of my midwives and I’d get a call back no more than 10 minutes later. OBs that work within a family practice like mine did, often have many patients under their care. If you really want someone who is nurturing and actually has the time to build a relationship with you, go with a midwife. OB: I had very short, clinical appointments with my OB that consisted of peeing in a cup, getting weighed, getting blood pressure taken, and getting my belly measured. That was as far as anything went. Of course, the essentials were taken care of but I am that mom who had tons of questions and concerns that I wanted to be addressed thoroughly without feeling rushed! ﻿ MW: My appointments with my midwives were much longer, usually up to an hour long. 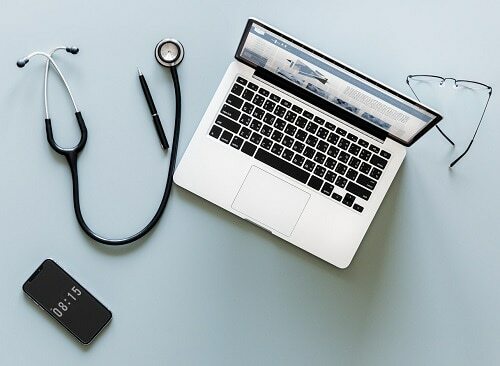 In that time, not only was all the medical stuff done, but my many questions and concerns were always addressed and I never felt like I was bugging anyone. It was nice to also talk about “regular” life stuff. I always looked forward to my appointments. The overall vibe was just more relaxed and less…clinical. Midwives usually have a limited number of patients they take on, which allows them to spend more time with you during appointments. If this is something that’s important to you, go with a midwife. OB: My obstetrician’s method of care was very clinical. It’s nothing wrong that she did, it’s just the way things are within the field of medicine. She really did view my pregnancy and childbirth as medical events. MW: My midwives provided me with a more holistic method of care. Aside from the medical side of things, there was a lot of attention paid to my emotional and physical well-being. They viewed my pregnancy and the birth of my child as a healthy and normal physiological event and treated me more like an expectant mom than a patient. If it’s really important that all of your needs beyond your medical needs are met, go with a midwife. Their scope of practice allows for them to care for you in a more holistic manner. OB: Although my obstetrician was happy to answer my questions, I found that she didn’t really volunteer much info unless I asked. That was frustrating as a new mom because I didn’t always know what the heck to look for or ask! MW: My midwives on the other hand looked at me as the primary decision maker in regards to my health and that of my baby. Whenever a test or procedure had to be performed, they would explain to me why first and then give me the choice to decide whether or not I wanted it administered. I even got to do the Group B Strep test by myself! They educated me and then gave me the power to make informed decisions. I really appreciated this because it made me feel involved every step of the way. If it’s really important that you’re able to have that independence and that you’re really given the opportunity to take on more of an active role in your pregnancy/birth journey, go with a midwife. OB: OBs usually have more than 1 mama to look after and therefore cannot spend all day waiting for waters to break and babies to be born. It is very common for women to have their babies delivered by someone on than the OB they’ve been seeing their entire pregnancy. MW: I was assigned to 2 midwives. One primary and a secondary one just in case my primary was with another mom. I go to know both of them really well as I saw them through my entire pregnancy. My primary midwife was with me during the birth of my son. If it’s important that you have your prenatal care provider with you during the birth of your baby, definitely go with a midwife. OBs have many mamas to look after and may only end up being available to “catch” your baby. OB: With my daughter, the attending OB unnecessarily broke my waters without asking me, presumably to speed up my labor. 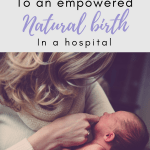 As you may know, being relaxed during labor is very important especially if you’re having an unmedicated birth like I did. Aside from that, the OB cut my daughter’s umbilical cord as soon as I birthed her (without asking) instead of delaying it like I wanted. 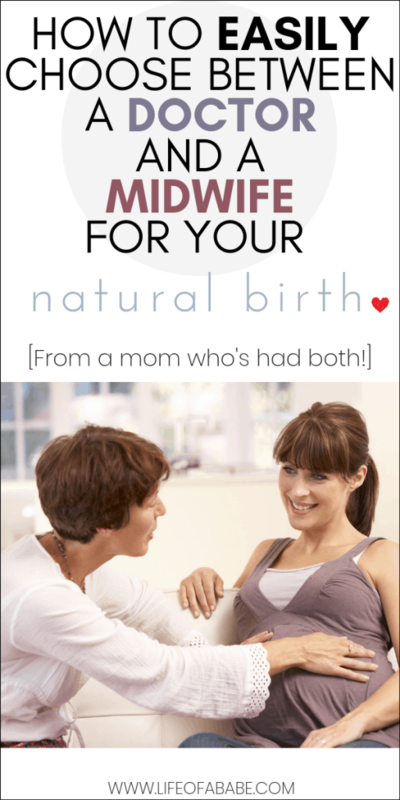 ﻿ MW: My midwife did not break my waters. She let me walk around and labor at my own pace. That really helped me get in the zone and stay relaxed during labor. The only people in the room aside from my husband were my primary midwife and the pediatric nurse midwife. The lights were dim and aside from me moaning and groaning, everything in the room was silent. Creating an environment that is conducive to a safe and healthy birth is is key to having a smooth labor and childbirth. If you want less interventions and want to be able to birth your baby in an environment that you find suitable for your birth plan, go with a midwife. If your goal is to have an unmedicated birth, in a hospital setting, definitely get a midwife. Studies show that midwives have much lower C-section incident rates, trauma and other methods of childbirth intervention. They are also trained in alternative methods for pain relief during labor and aren’t quick to push for drugs. OB: I didn’t receive adequate breastfeeding support from my obstetrician. I was seen by a Lactation Consultant twice before being discharged from the hospital. She didn’t provide me with adequate support and because of that, I gave up breastfeeding 3 months in and switched over to formula. MW: My MW taught me that breastfeeding is something that needs to be learned both myself and my son. She encouraged me to keep nursing and coached me through it. I ended up exclusively breastfeeding him for 9 months! Whether you haven’t started yet, or are in need of some help with breastfeeding, I would highly suggest you check out The Ultimate Breastfeeding Class by Milkology! It’s a fantastic course written by a mama who also happens to be a Certified Lactation Expert! I took this course myself and I must say that I would’ve had a much easier time breastfeeding my daughter had I taken it beforehand. If you are planning on pumping, check out The Ultimate Back to Work Pumping Class. Both courses cost lest than a couple of Starbucks frappucinos. If you want something that is super affordable, practical, that you can do from home at your own pace, check out any one of these courses. Midwives are often fit to provide breastfeeding support. If that is something that you want to establish from the very beginning, seek the care of a midwife. OB: With my OB, the postpartum care provided was just centered around my baby. I, on the other hand, had nothing but 1 really quick appointment for myself, 2 weeks following my baby’s birth. I felt alone when I left the hospital and definitely needed more support. MW: My midwife provided both my baby and I with in-home continued care for 6 weeks after my son was born! It was so nice to have someone ask me “how are you feeling today? How are you coping with things?”. I felt like I still mattered as a human being! If you need additional support transitioning into motherhood, go with a midwife. Motherhood can be especially tough during those first couple of weeks postpartum. Having someone who is experienced, knowledgeable, and fully invested in your well-being is important and sets the foundation for a healthy postpartum journey. So there you have it! I would encourage you to do your research and really familiarize yourself with the methods of care that are available. I truly do believe that knowledge is power especially when it comes to pregnancy and childbirth. You should be an active participant in your own journey, whether you go with a doctor or midwife. Note: Even if you are considered high-risk, depending on your condition you may still be able to have a midwife. Just make sure you ask! 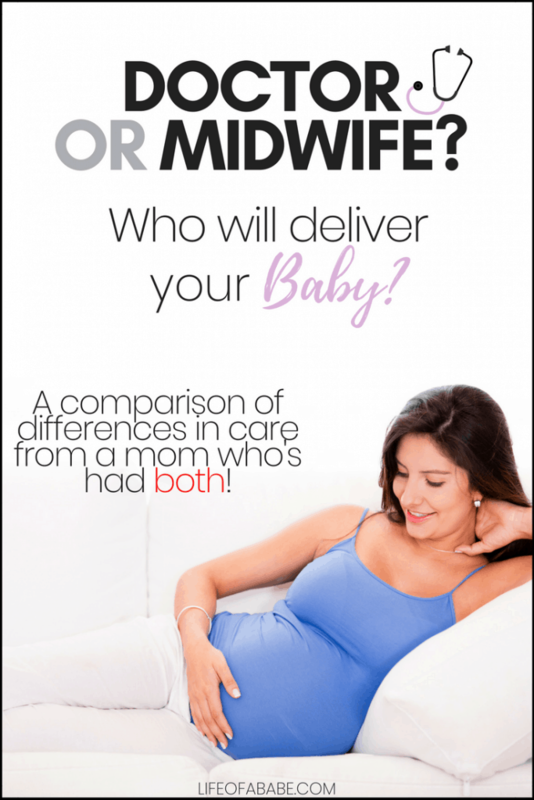 Are you having a hard time deciding between an OB and a Midwife? What was your experience with your OB/midwife? Share your story, comment below! Great post about this! I had an OB with my son but always wondered what it would be like to have a MW. Thanks Amanda Glad you enjoyed this post! I too had a birth by a midwife (my firstborn) and a birth by ob although the midwife was many years ago and she had a full caseload so not quite as accessible as maybe one would be today. I did have so much more flexibility in the birth with the midwife. I still brag about having a shower at 9 centimeters which I was never able to do with an ob with my other deliveries. If given the option today I would go with a midwife again. Thanks for sharing your experience Shannah. Midwives are awesome! I loved my OB, but she couldn’t guarantee she’d be at my birth and I really wanted to know the doctor who would be in the room with me, so we went with midwives, which she highly recommended. The downside was there were 5 of them! I managed to meet all, but only really got to know 2 of them. It’s interesting to see how it varies from different hospitals. Wow 5 midwives does seem like a lot! Thanks so much for sharing your experience. It’s very helpful to have someone who also cares about you post-birth. It can be very hard otherwise! Oh my goodness! This post just made me realize how uneducated I am about all of this. I’m not planning on having kids for awhile, but it’s so important to weigh all of your options. I’ll definitely be circling back to this post when it’s time to make these sort of decisions. Thanks so much for laying it out in such easily comparative way! You’re so sweet. Thank for reading and all the best to you! I love how you compared each important topic to your personal al experience and found which one was better for you! This will be really helpful for anyone looking to decide! I personally chose and OB but have many friends who went with a midwife. we both have healthy happy babies! Hi Katriza! I’m glad you enjoyed this post!